Susan Okamoto Lane's lifelong mission — “to help people take the next step” — describes her service at SPU since 1983. 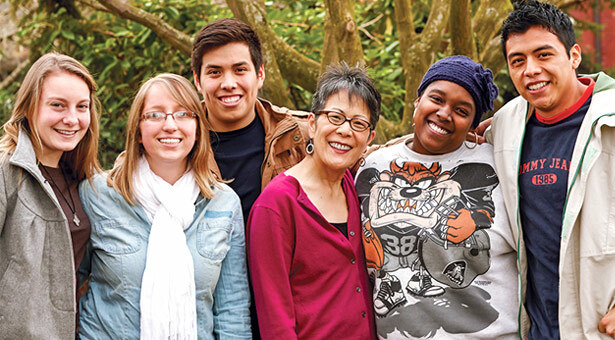 Lane (center), director of SPU's Multi-Ethnic Programs, knows that college life can pose challenges to students from a variety of ethnic backgrounds, especially if they are the first in their families to attend college. So she learns their stories and helps them navigate a complex cultural experience. She embodies SPU's commitment to ethnic minorities. “SPU's faculty, staff, student leaders, and administrators understand that increasing diversity and supporting students are important educationally, scripturally, and from a justice standpoint,” she says.